Heng Yue Yen Long Kwon roots go back to traditional Chinese Kung Fu. Learning this form of Kung Fu will immerse you into century old martial arts traditions and modern fighting techniques. Heng Yue Yen Long Kwon is a modern Chinese Martial Art founded in 1981 by Grandmaster Yuet-sing AU, Black Belt 10th Dan.With the spirit and skills, students are trained to be proactive and unflinching in the face of challenges. Heng, or Perseverance, embodies unceasing endeavour, stalwartness, and patience. Achievement in pursuit of any knowledge comes with a persistent and proactive attitude in analysing and synthesising situations. Martial Art studies are no exception. In practising Heng Yue Yen Long Kwon, perseverance and self-confidence are emphasised in overcoming both physical and psychological weaknesses. Yue, or Universe, stands for boundlessness. It also symbolises wisdom and knowledge. A broad mind and far-sightedness are needed to accept differences and hence new thinking. That is seen in the Grandmaster AU’s development of Heng Yue Yen Long Kwon on the basis of science, philosophy, dynamics, physiology and various martial art skills, plus his persistent drive and hard work to enhance the technique. Yen, or benevolence, is the embodiment of kindness, care and sympathy. Long is righteousness, the best as well as gentlemanliness. 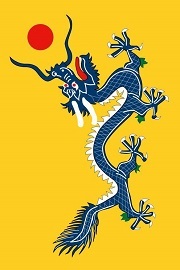 It is also the symbol of China. Kwon is martial arts. It is a combination of skills, wisdom and body strength. At the same time it is also a demonstration of valour and peace. In terms of skills, Heng Yue Yen Long Kwon is a soft yet powerful form of martial art. It has no superficial or flowery moves, nor rigid forms and styles. Its simple, light and sharp fighting skills, together with proper timing, strength and speed, enables one to attack and defend with maximum efficiency. Thanks to Grandmaster AU’s over 30 years’ experience and extensive knowledge of martial arts, Heng Yue Yen Long Kwon has evolved into an all-rounded martial art style with the scientific use of all parts of the body. As a breakthrough in the martial art arena, on top of the traditional skills including punches, kicks, elbows, knees, locks and throws, there are stances uniquely designed by Grandmaster AU, i.e. Attack Stance, Fighting Stance, Lucky Stance and Flying Shadow Stance, which allow the delivery of kicks and punches simultaneously and interchangeably, thus optimising the effectiveness of the move. The Heng Yue Yen Long Kwon “Tempo-Training” helps the students to time properly each move, and to judge correctly the most suitable time to accomplish an effective action. An effective attack or counter-attack does not necessarily mean the same high-speed all through. Given training, students will master attacks at various tempos. Heng Yue Yen Long Kwon training also enables one to fight his opponents at all ranges, i.e. no matter they are at a “contact distance”, a “close distance”, a “mid-length distance”, a “long distance”, or even an “out-of-combat distance”. We stress observation, judgement, analysis and tactics. Practice and theories are the two “musts” in our training. 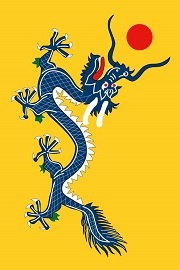 To carry forward the spirit of Chinese Martial Arts and to promote the culture so that more people will understand the nature of marital art as an art of attack and defence that combines strength, skills, wisdom, resourcefulness, staunchness, litheness and beauty, thereby realising the benefits of practising martial arts. To impart the skills of Heng Yue Yen Long Kwon. With our professionalism and good faith, we will enable our students to apply effectively the philosophy and techniques of Heng Yue Yen Long Kwon to build up vigorous health and high capacity for self-defence, to foster courage and persistence, to enhance their abilities and efficiency in work, and to make continuous progress in both martial arts and their careers (or studies). To promote the culture of Chinese Martial Arts such that more people will be able to understand their encompassing magnificence with rich yet abstruse essence and philosophy. Practising Chinese Martial Arts can be a form of cultivation and refinement of one’s character and spirit. It can also be an experience in challenging and overcoming hardships undauntedly. Regular practice of martial arts with a clear goal and perseverance can strengthen one’s psychological constitution and bring out full confidence and optimism in life. In terms of skills, the delivery of each and every punch, chop and kick, and the adoption of strategies of attack or defence, advance or retreat, action or standstill, speediness or slowness, firmness or flexibility, and feints or ambushes are both a recondite scholarship and art. Given training, a student of martial arts can get a comprehensive exercise in his/her central nervous system, respiratory system , digestive system, heart and other internal organs and apparatus, as well as skeleton, muscles, joints and ligaments. It will also increase his/her speed, stamina, agility and improve his/her coordination. In face of danger, he/she will be able to exert his/her skills instinctively and protect him/herself. This is precisely the unique merit of martial arts as opposed to other sport activities. Moreover, we will actively create new modes of teaching them, and facilitate their scientific and entrepreneurial development, socialisation and internationalisation. Regardless of a practitioner’s nationality or skin colour, we should regard ourselves as Global Villagers and take up the mission of presenting Chinese Martial Arts, our common asset, to people all over the world. With and open mind, we will continue to study, research, and blaze new trails to improve our martial art skills, to inject some new life into the traditional Chinese Martial Arts and carry them forward.